g50 | sailors = halos’ daddy? 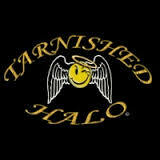 Way to tarnish those Halos! Chris recovered nicely from his last couple of rocky starts, holding the Halos hitless for a time . . .
McClendon on Chris Young: “I was trying to find the adjectives to describe this guy today. What a godsend for this rotation." Small ball plates TWO in the 1st . . .
Chris Young in 4 starts at Safeco 1.65 ERA with opposing hitters batting .141 against with .240 OBP and .444 OPS. This entry was posted in GameDay, HOME and tagged Ackley, Cano, Jones, LAA, Saunders, Young. Bookmark the permalink.